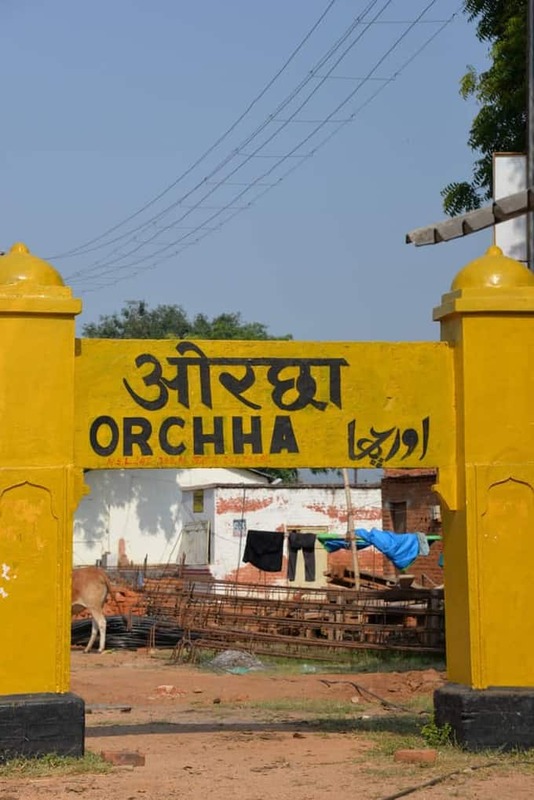 I love to hit the roads and while I was at Jhansi this time, I’d to make another trip to Orcha. 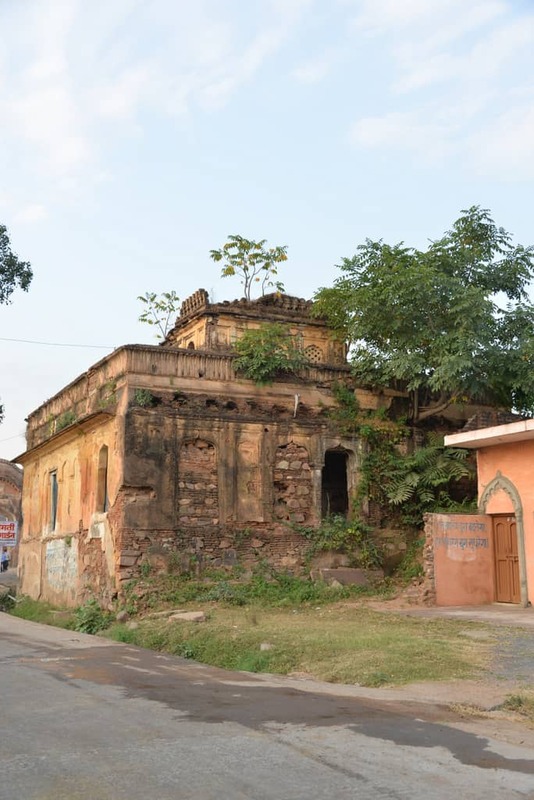 This heritage town is nicely tucked off the Jhansi Shivpuri road in the state of Madhya Pradesh, a simplistic railway station greets you (even if you are traveling the road) and creates an excitement for this town. 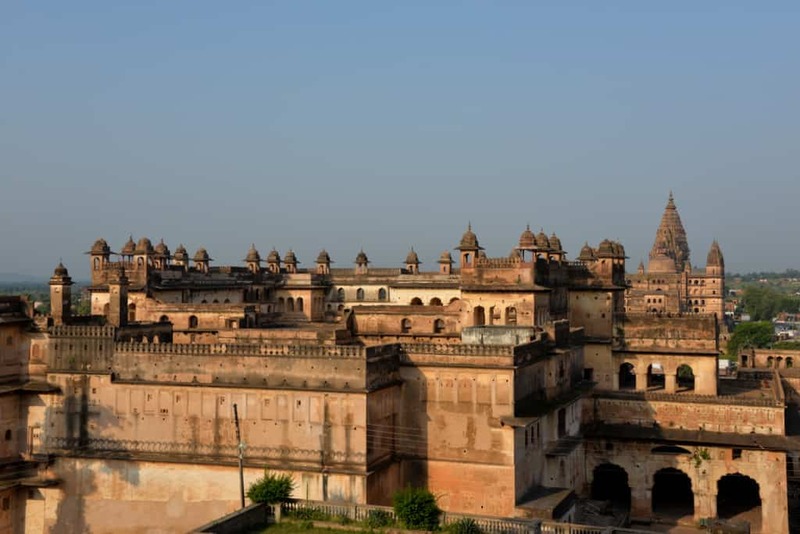 This town was setup by Bundela Maharaja about 500 years back as their 2nd capital. 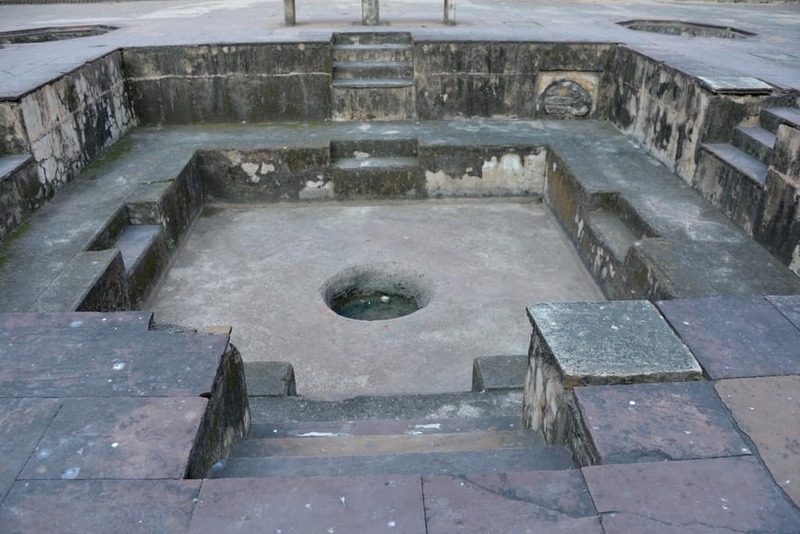 Its interesting on how this place got its name, the story goes as the Maharaja asked the Tunger Rishi to pick a name, and was advised that the name should start with the first character he speaks the next morning. The next morning, the Maharaja came across a dog and with love used the words “Urch urch” and hence the capital got its name. 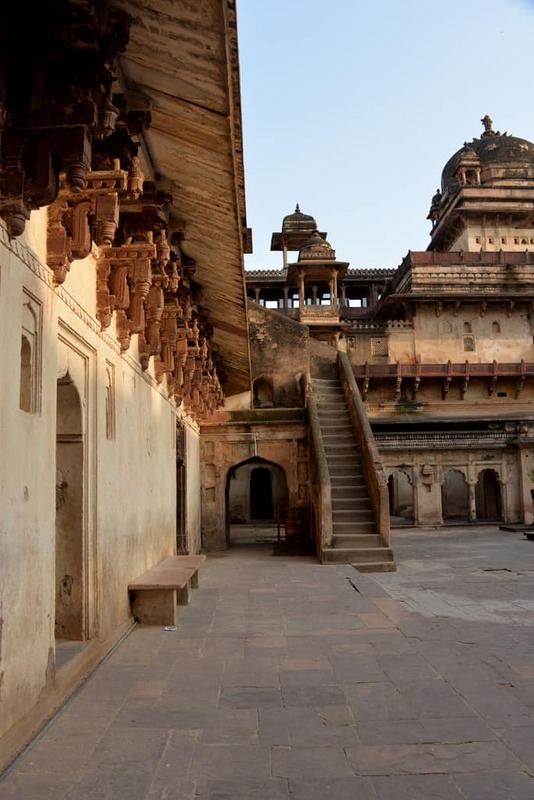 The entrance to the city is lined with old city houses as the one below giving it the charm it has become famous for. 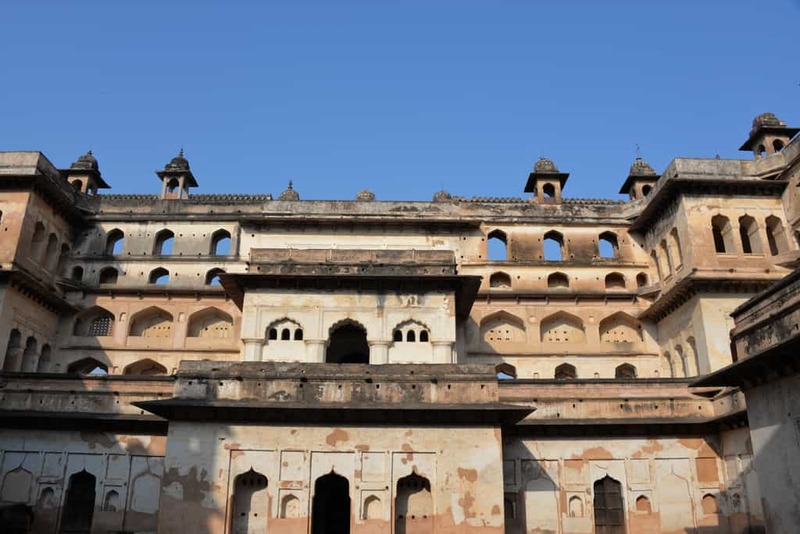 A view of Jehangir Mahal which was constructed between 1605 and 1627. 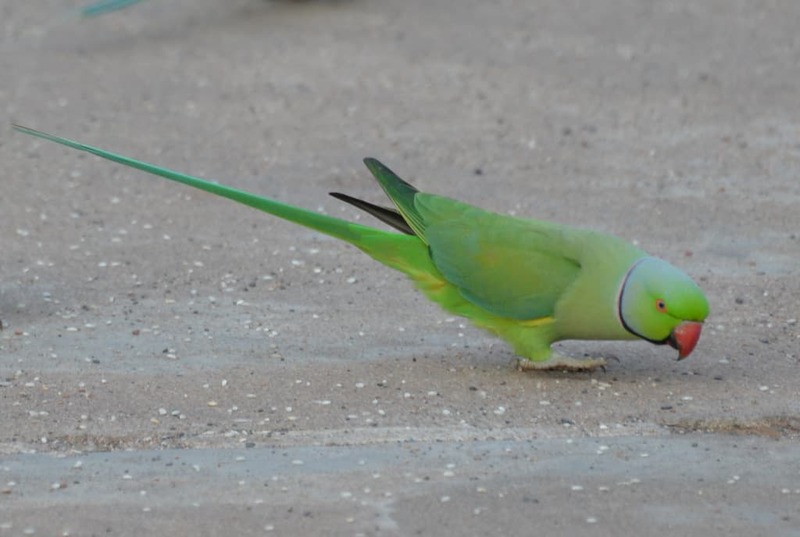 Its so relaxing to watch the birds in front of the Mahal and I do suggest that you plan to reach here early morning. The sites open at about 8AM. 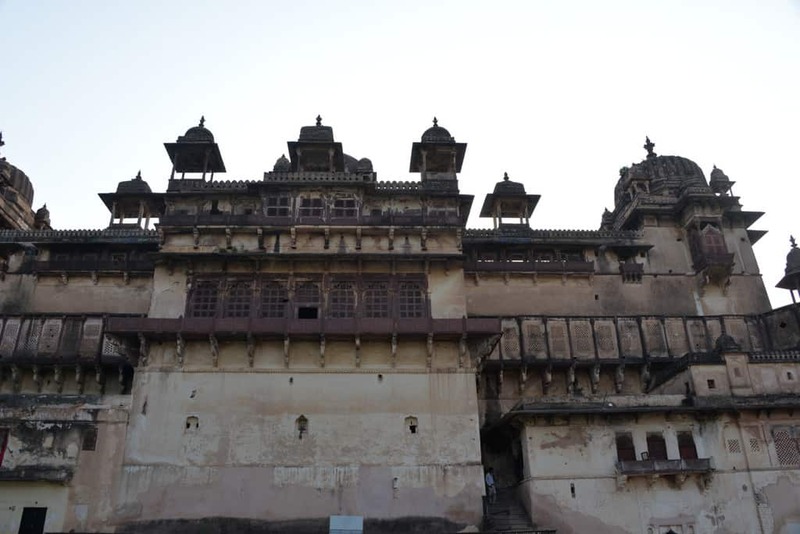 The entire roof of the palace is said to be studded with precious Blue stone which is now left at very places. 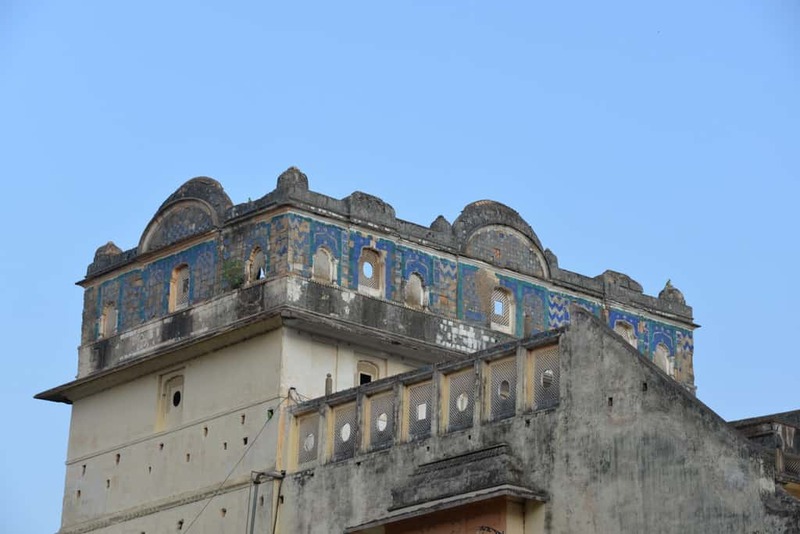 I can imagine how grand the palace would have looked with the lovely turquoise stone studded on the roof walls. 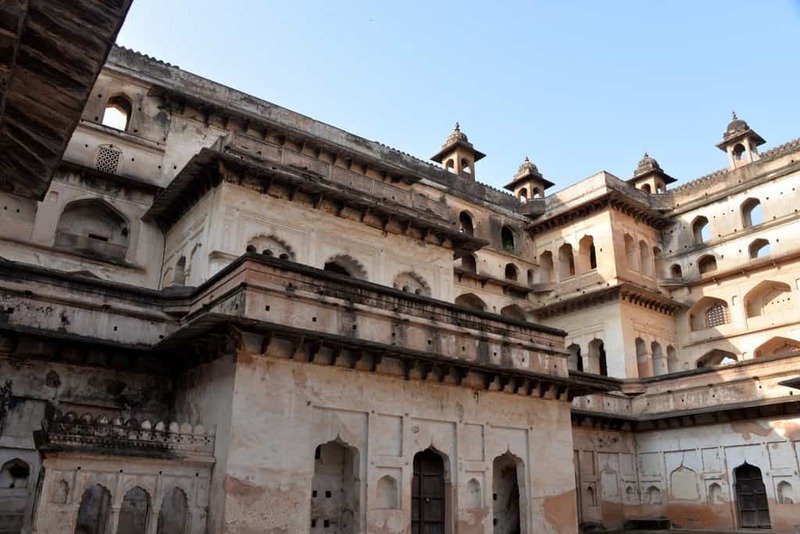 Jehangir Mahal is built over three levels with an old fashioned swimming pool in the middle and about 236 rooms with about 100 on the ground floor. 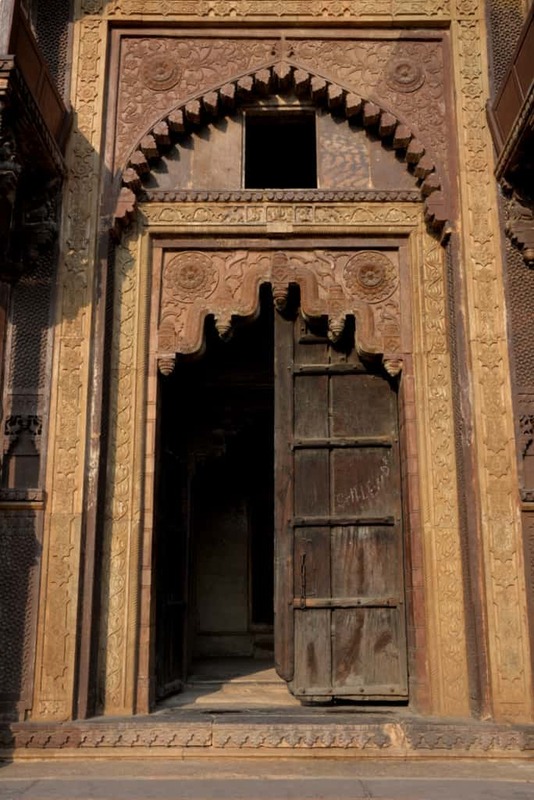 This Mahal although built by a Hindu Maharaja was gifted to Mughal emperor Jehangir and hence the name of the Mahal. 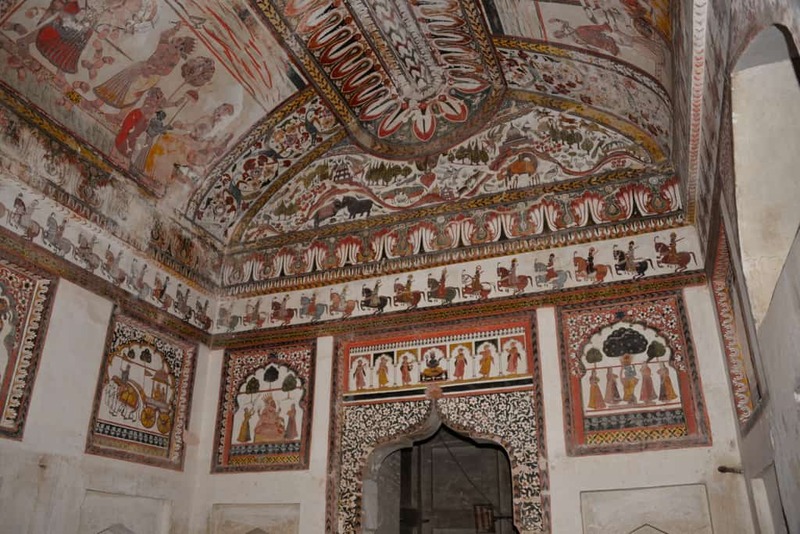 The Mahal is made in both Hindu and Muslim architecture with the ground floor lined up with elephant figures (Hindu architecture) specifically the “abhinandan door” with lord Ganesha and the main entrance lined with elephant and peacock marble roof. 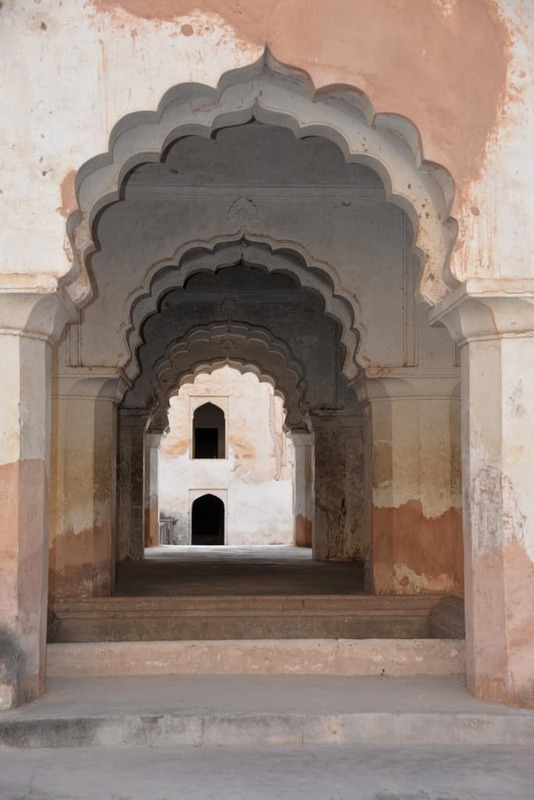 The first floor uses the arches as per Muslim Architecture, the 2nd floor uses a mixed architecture. There is a soothing view of Betwa river in the distance with a separate stable for the camels. 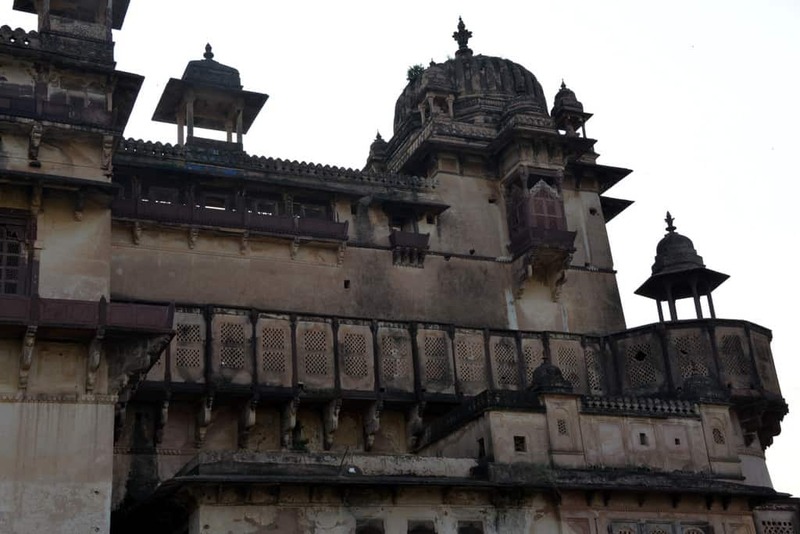 The other Palace just downstairs is the Raja Mahal completed in 1592. 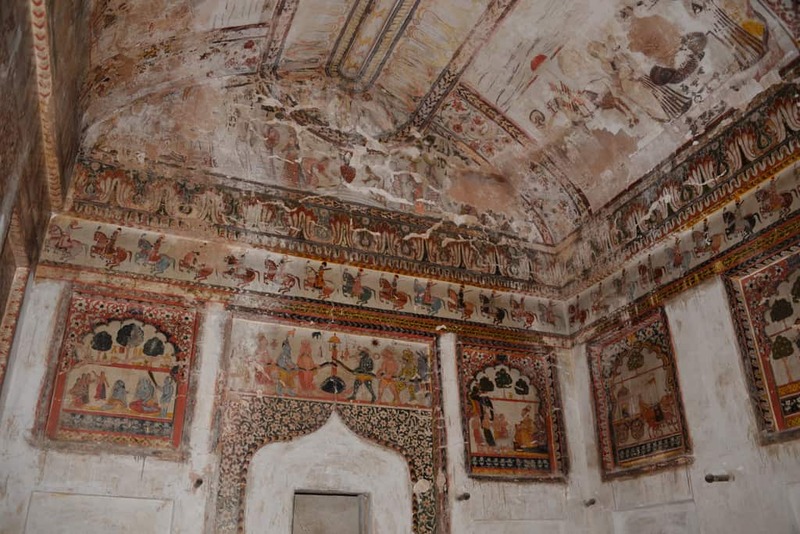 The architecture has the main veranda, a public and private dancing plate, Deewan-e-khass, Panchati Chabutre and Vegetable Color painting on the roofs which still hold good. 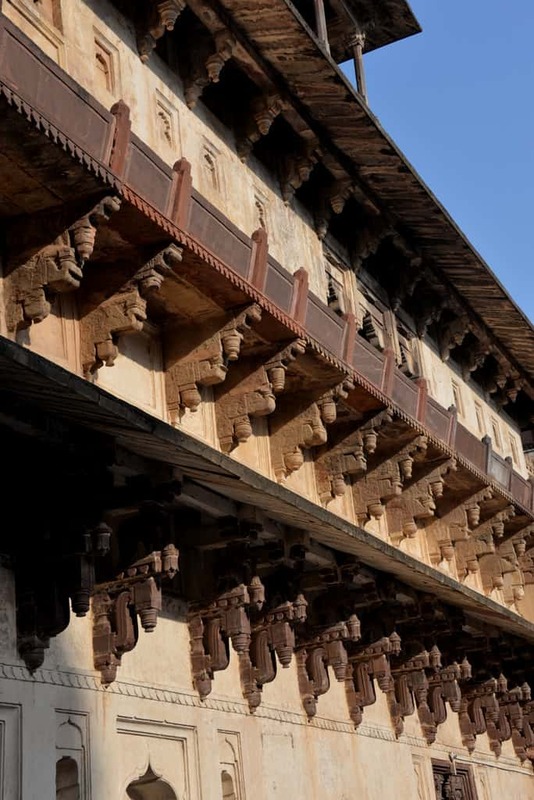 The roofs depict the 10 avtaar’s of Lord Vishnu. 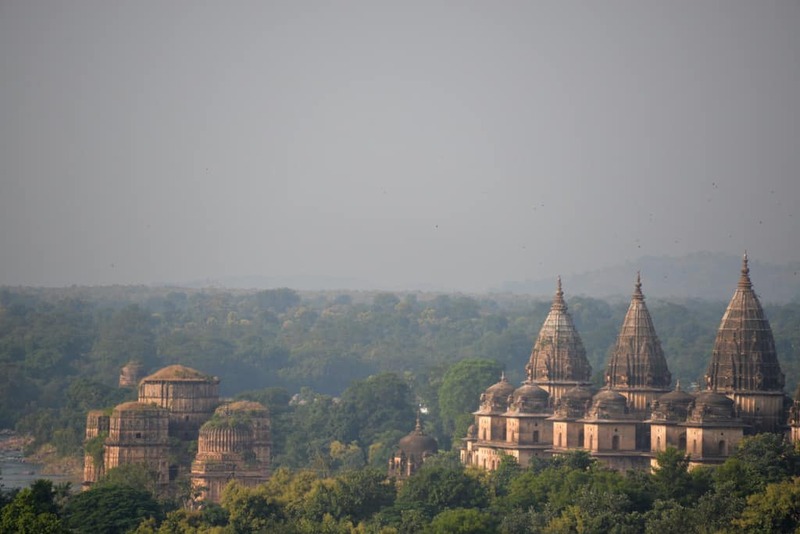 Mahal has a great view to the Raja Ram Mandir and Chaturbhuj Mandir. 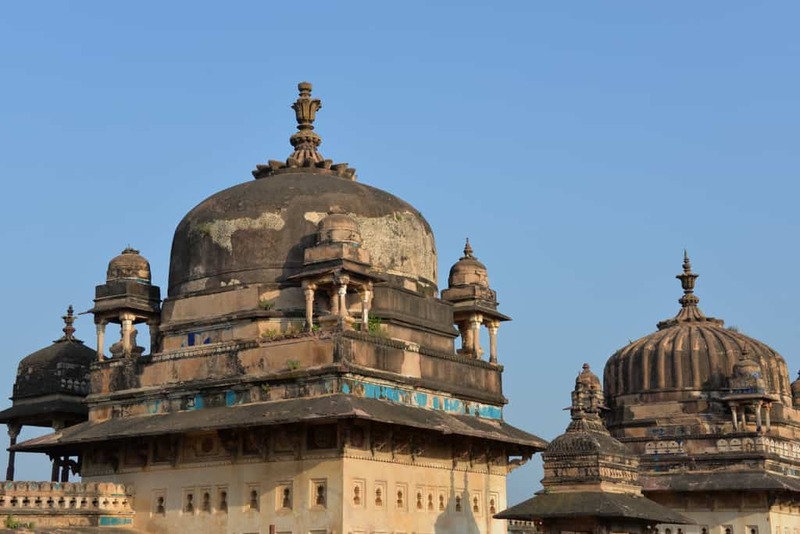 Raja Ram Mandir was originally a palace and the legend goes that the Rani Ganesh Kuanwari following a dream of Lord Ram, went to Ayodhya and brought back the idol of Lord Rama (meant for Chaturbhuj Mandir), however once established could never be moved and hence converting a Palace into a Mandir. 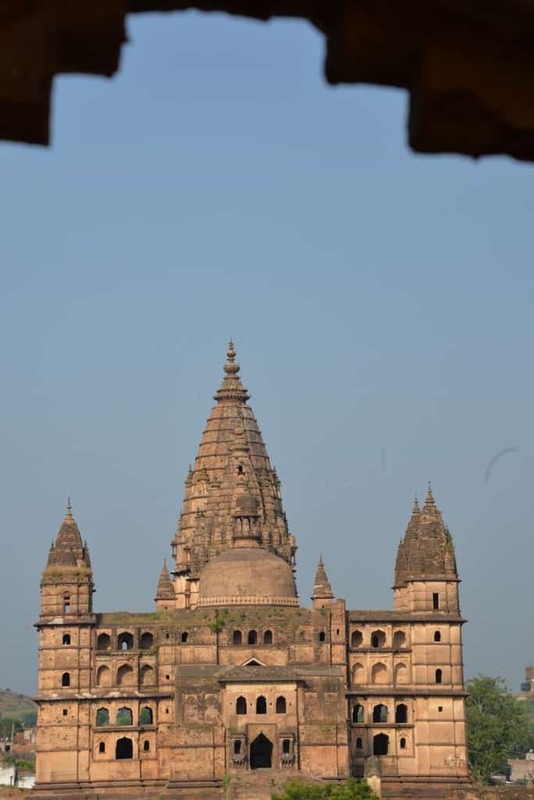 The Chaturbhuj Mandir on the other hand stands over a stone platform which can accessed through a steep staircase. 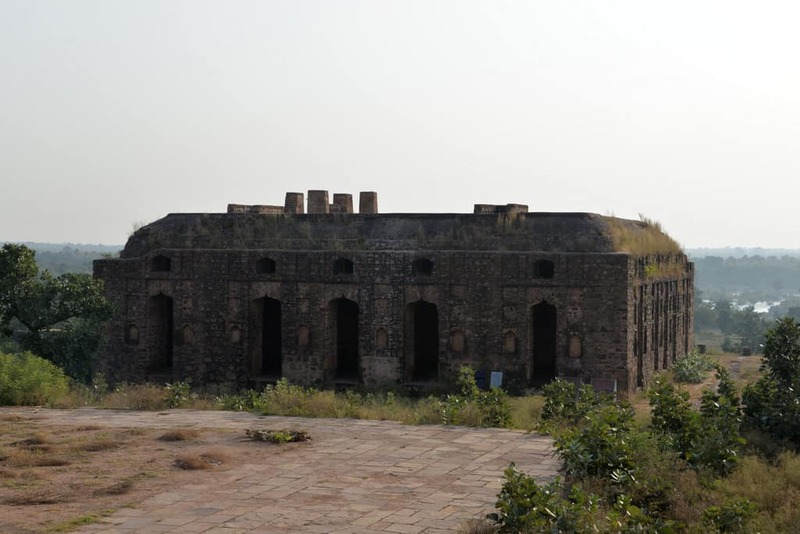 The other interesting locations in the town include Laxminarayan Temple, Phool Bagh, Dinman Hardul’s palace, Shahid Samarak, Rai Praveen Mahal etc. 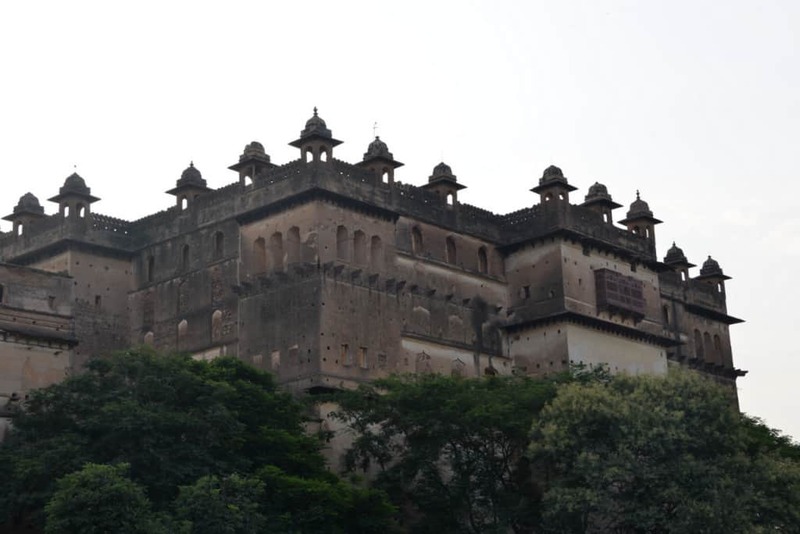 You may also want to check the sound and light show which happens at dusk at Raja Mahal. 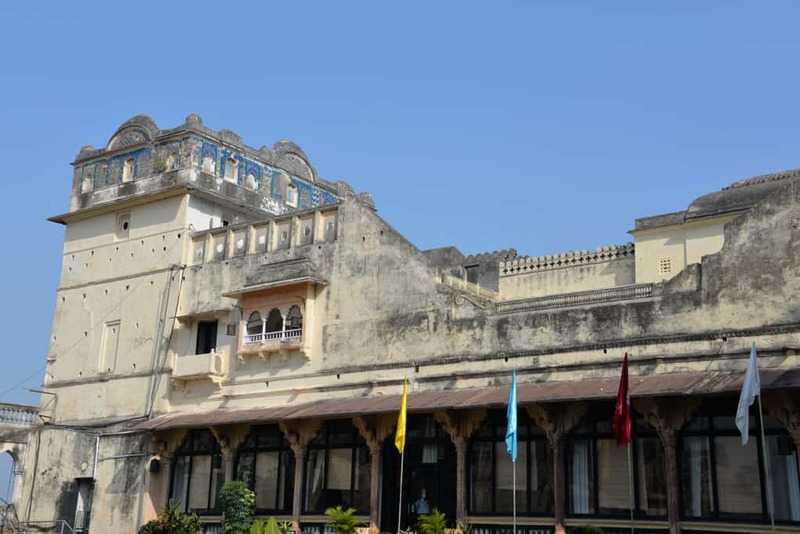 To end a tiring trip, I do recommend a meal at Hotel – Sheesh Mahal, just next to the Jahangir Mahal or if you are in a mood to explore, try the local eatries on the roadside. For some fine dining and stay, you can head to Amar Mahal down the road. 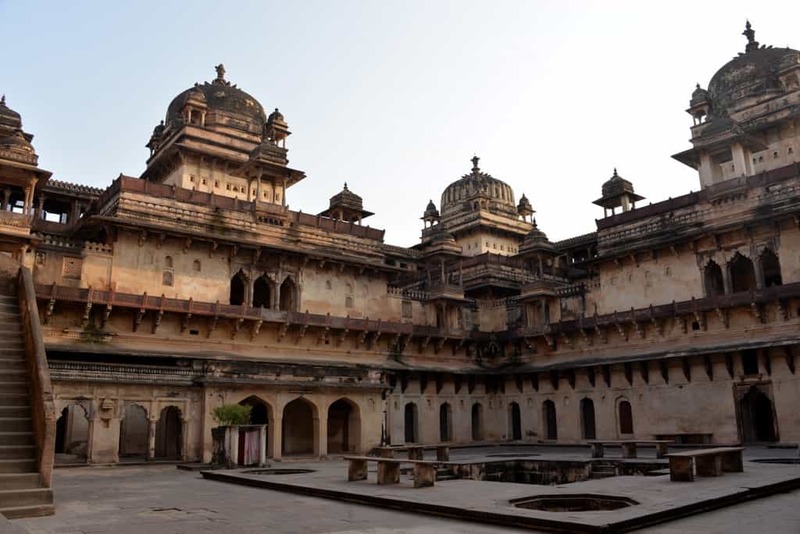 Orcha is definitely a hidden jewel in Madhya Pradesh and is a must visit for every history and heritage lover. 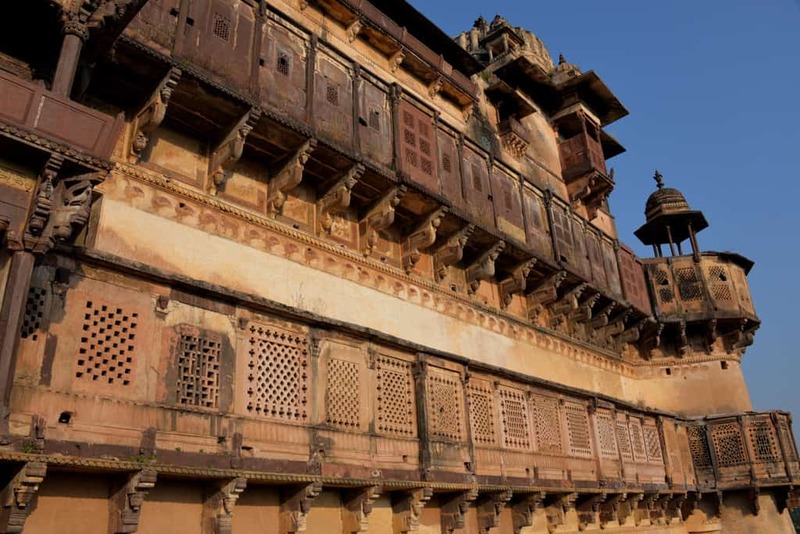 Suryagarh Palace, Jaisalmer, The epitome of royalty in the middle of Thar.